It's possible that the competition for your technologically sophisticated, software-as-a service (SaaS) solution is some other vendor's technologically sophisticated SaaS solution. Some markets are jam-packed with vendors peddling SaaS solutions, all scratching each others' eyes out to win deals. But while your battling tooth and nail with other SaaS vendors, don’t forget about the other competitor in the picture: inertia. In many cases, in fact, inertia may be your toughest competitor. A high tolerance for "good enough"
Your target customer has probably been stumbling along for quite awhile, somehow managing to get by with a mediocre solution. Depending on the department and the function, it probably consists of some combination of a spreadsheet, email, Word docs, and paper forms. Sometimes Quickbooks or sticky notes are in the mix, too. Of course, you know that that home-grown solution is less than optimal. It’s awkward to use, prone to error, and inefficient. In fact, the prospect probably knows that too. They're quite aware that the system they’re using now is really just barely good enough. Folks at the companies you're trying to sell to are busy, they have lots of other priorities, and they can only focus on things that need urgent attention. If the problem you solve is way down on their list of priorities, you and your solution aren’t likely to get attention any time soon. So the prospect customer puts off any decision to evaluate alternatives, replace the current system, and purchase something new. It’s not that they’re buying a solution from some other vendor. They’re simply not buying anything at all. Delays like this are a particularly acute problem for SaaS companies. 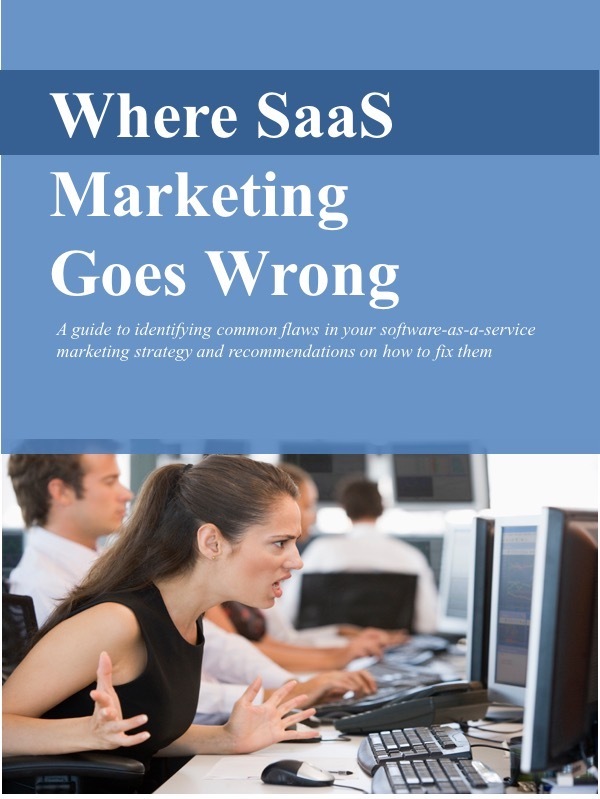 SaaS companies have incurred lots of costs up-front to get a prospective customer’s attention. Adwords, events, inside sales, or whatever other tactics you use to attract prospects cost money. To recover that investment in sales and marketing, companies need to convert those prospects into paying customers. That’s how the SaaS model works. When the prospects have no sense of urgency, no immediate need to buy, the sales cycle gets longer, and the SaaS companies collect no revenue. That’s a problem. And the longer the sales cycle runs, the longer the delay before there’s a purchase, and the bigger the problem. Companies need much deeper pockets to fund a six-month sales cycle vs. a six-day sales cycle. But wait, it’s actually worse than that. Under a subscription model, revenue that’s deferred is actually revenue that’s lost. In the traditional license model, if a deal gets pushed out from January to April, the license fee is still received in full, albeit one quarter later. But in the SaaS subscription model, if a purchase decision moves from January to April, that’s three month’s worth of subscription revenue that’s lost. When those three months have passed, they’re passed. It’s not possible to recover the subscription revenue for that quarter. It’s not enough to trot our your impressive roster of features, benefits, and advantages. The first task is convince the prospect that they have a problem and that their existing system is not, in fact, good enough. They need to see that every month, every week, every day that they ignore it, and try to get by with their existing solution, is badly hurting their business. Their paper-based recruiting system is losing them great candidates and costing them hours per week. Their accounting solution is losing track of thousands of dollars and exposing them to liability. Their customer support solution built with email and Word is infuriating customers. Their inventory management system cobbled together with Excel and paper documentation is costing them lots of money in overstocks and shortages. Until they see that they have a problem - an urgent problem - they don’t care about your solution.